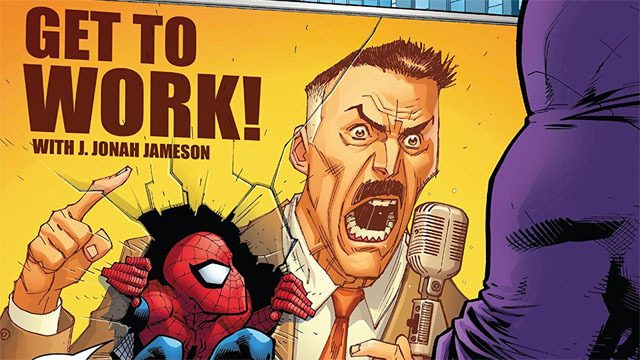 J. Jonah Jameson has tormented Spider-Man ever since Peter Parker’s public debut as a hero. However, things are different now that Jameson knows who’s under Spidey’s mask. Peter Parker willingly revealed his identity to Jonah when he was at an emotional low point. Ever since then, Jonah has taken an increasingly large role in Peter’s life as Spider-Man’s number one supporter. And Jonah is about to go public with his new stance. 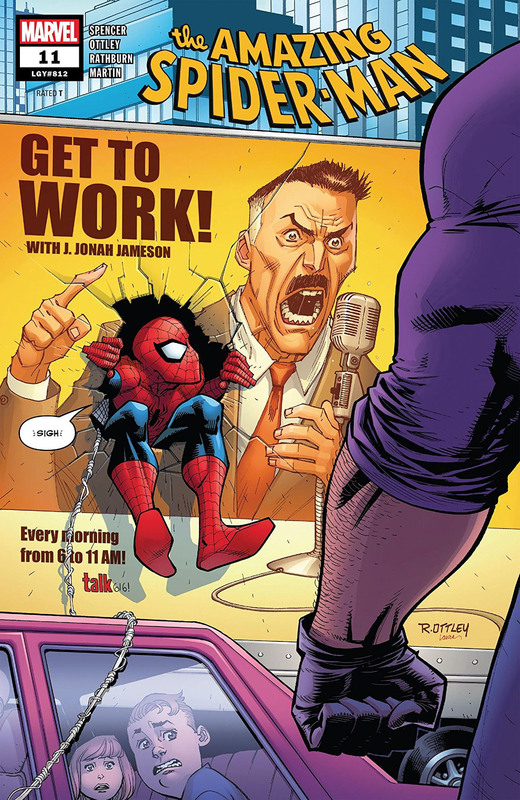 In Superhero Hype’s exclusive preview for Amazing Spider-Man #11, Nick Spencer and artist Ryan Ottley give Jonah a new career as a shock jock radio host. But even the people who know Jonah well are mystified by his change of heart about Spider-Man. Unfortunately for Jonah, the Kingpin has already noticed his new stance. Wilson Fisk has Jonah’s old job as the mayor of New York City, but he’s still a criminal. Fisk has been attempting to ruin Spidey’s reputation with his fellow heroes by praising him. With Jonah’s unwitting cooperation, Fisk is about to do it again on a much grander scale. You can read the full exclusive preview in our gallery below. Amazing Spider-Man #12 will be released on Wednesday, December 12. What did you think about the preview? Let us know in the comment section below!